"I'm underrepresented. In your pants." Tuesday night, the freelance writer and the activist behind the #NotYourAsianSideKick trend, Suey Park, started another brilliant hashtag: #ActivistPickUpLines. For this Valentine&#39;s Day- I give you #ActivistPickUpLines. 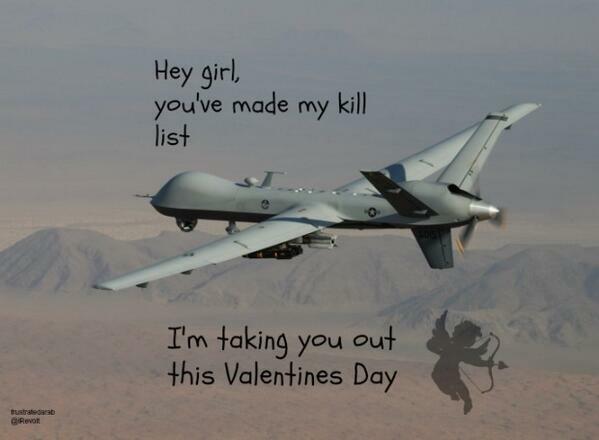 For this Valentine's Day- I give you #ActivistPickUpLines. Park, 23, told BuzzFeed that the hashtag was inspired by a student she met at the Asian Pacific American Awareness conference at the University of California, Irvine, who joked, "I'm down for the struggle and the snuggle." Park said the hilarious hashtag showed that activists can also "be cute and funny" and not just "cold-hearted feminists." She said she found dating to be hard for activists because for people like her "love is not about sacrifice and scarcity but about equality, justice and community." Park said, in her experience, it is easier for activists to date one another because others would not understand when "you have to attend a street protest at night." For instance, on her birthday, Park made her partner accompany her to a Trayvon Martin rally. She is spending this Valentine's Day at meetings organized to resist the One Billion Rising project. Following Park's lead, several people started contributing to the hashtag and got it trending. Here are some of the most hilarious tweets from #ActivistPickUpLines. Oops got bored and accidentally trended #ActivistPickUpLines. "How bout we take this movement in the streets to a movement in the sheets." We ain't gotta worry 'bout leaving carbon footprints ..when we're horizontal!